To view the 2/26/19 CP News in html format, click HERE. Governor Andrew Cuomo released his proposed Executive Budget late last month and as expected, there was no funding in the budget for the next two installments of the #bFair2DirectCare six-year proposal to raise wages for Direct Support Professionals (DSPs) and other low-wage workers in our field. The Governor also failed to provide funding for the Human Services COLA (Cost of Living Allowance) necessary for agencies to be able to keep up with increased costs for everything from salaries to rent, utilities, insurance and other costs. Because New York State has not provided the funds necessary to recruit and retain sufficient numbers of employees, organizations that provide supports and services for people with disabilities in New York State are in the midst of a staffing crisis. High vacancy and turnover rates are responsible for thousands of hours of additional overtime for most organizations. The staffing shortage is also forcing agencies to reduce opportunities for people with disabilities. The statewide #bFair2DirectCare coalition has continued to gather support in the New York State Legislature and with the general public in an effort to convince officials in Albany that there must be additional funding in the upcoming state budget to provide a living wage for DSPs. Rallies and news conferences have taken place in cities and towns across the state since last fall to gain support for the funding needed to recruit and retain qualified people in sufficient numbers. Two rallies in Albany, one in Manhattan and another in Binghamton in January and February have helped publicize the staffing crisis and the need to fund increased wages. The two Albany rallies at the state Capitol were conducted within earshot of the Governor’s office and drew supporters from around the state as well as media outlets and legislators voicing support for the campaign. The Binghamton rally and news conference on February 8 was attended by more than 100 volunteers, staff and people with disabilities and their families, several local media outlets, as well as all the state legislators from the area. The Manhattan rally on February 14 drew dozens of supporters to Times Square focusing attention on a large electronic billboard donated to the coalition. The billboard asks people to call Governor Cuomo and tell him that it is critical that he add funding to the state budget to provide a living wage for DSPs. More events are planned around the state in the next month and the #bFair2DirectCare coalition and CP of NYS are encouraging everyone to contact the Governor and their legislators and tell them that they must provide funding in this state budget. For more information call CP of NYS at 518-436-0178 or visit our website at www.cpstate.org or www.bfair2directcare.com/. As you know, Governor Cuomo presented his 2019-2020 State Budget proposal to the Legislature on January 15, 2019. The Governor’s budget was released a couple of weeks before it was required and even earlier than had been rumored. Click HERE for the COPA 2019-2020 Budget synopsis. Consumer Directed Personal Assistance Program (CDPAP) Program/ Fiscal Intermediary (FI) Changes – repeals existing law and replaces it with new language governing the CDPAP program to consolidate FIs and establish uniform reimbursement for CDPAP services. Effective immediately, requirements for FIs to receive authorization from NYSDOH and limitations on advertising by FIs would be repealed. Beginning January 1, 2020, entities authorized to provide FI services would be limited to those that have a contract with NYSDOH per an application process and entities that were FIs beginning on or before January 1, 2012 and drastically reduces the FI reimbursement by moving to a per member per month payment. Ultimately limiting to a single statewide FI with a regional presence. Repeals prescriber prevails for both managed care and fee for service Medicaid for a savings of ($22.45). Care Management for All – amend regulations to provide managed care plans with “greater flexibility to manage care by clarifying that reductions may be appropriate when a prior authorization allowed more services than were medically necessary.” This is obviously worrisome, particularly as we move more people with I/DD into managed care. Health Home Rate Reduction – proposes “streamlining the outreach reimbursement rate for care managers after initial contact has been established. This reform will incentivize care managers to enroll new members in programs and connect them to the services they require while disincentivizing intense care management over an extended period.” ($5 million state savings.) Our field and the CCOs need to monitor this closely because the CCOs were modeled on health homes. Because the Governor released his budget so early, he announced a $2.3 billion revenue shortfall in early February. As a result of this, we anxiously awaited his 30-day Budget amendments which were due February 14, 2019. Although we advocated that the Governor include funding for #bFair2DirectCare, the Human Services COLA and restoration of the Consumer Directed Personal Assistance Program, we were not surprised that the 30-Day Budget amendments included only additional cuts. Governor Cuomo blamed the federal government’s changes to the deductibility of state and local taxes (SALT) for the state’s budget gap, saying that the higher tax burden has caused some of the state’s wealthy residents to relocate—or at least change their residence for tax purposes. Reducing the overall 2019-2020 state budget from $175.2 billion to $175.1 billion. Continues to provide a $97 million state share increase for OPWDD with no other substantive changes. No funding for Human Services COLA or for phase three and four of #bFair2DirectCare campaign. A 0.8% across-the-board cut to Medicaid payments (not including OPWDD payments). Reconvene the Medicaid Redesign Team, which was first created in 2011 to reduce Medicaid spending on health care and made up of health care industry leaders. Diverting $500 million, that the Governor had previously pledged for hospital and nursing home trends and wage increases, for Housing Rental Subsidies (subject to CMS approval). Provides unilateral authority for the Commissioner of Health and the Director of the Division of Budget to make cuts to DOH and Other programs, without Legislative approval, if revenue and/or spending are not in line with the state’s fiscal plan. The 30-Day amendment concerns will be added to the COPA Legislative and Budget Priorities and will be included in our February 26 & 27, 2019 COPA Albany Advocacy Days. CP of NYS has joined the Strong Nonprofits for a Better New York Campaign to advocate for an end to the deferment of the “Human Services COLA.” The lack of COLA/Trends for many years has prevented non-profit providers from keeping up with rising costs, paying competitive salaries, and has created the dire staffing emergency that the #bFair2DirectCare Campaign seeks to address. Prior to 2011, Medicaid funded OPWDD supports and services received yearly increases to cover the rising costs of providing services (for example health insurance, liability insurance and workers comp), called “Medicaid Trends” or COLA for non-Medicaid expenses. In 2010, a COLA/Medicaid Trend of 2.08% was given to both state and non-profit operated programs. Since that time, with the exception of 0.2% given in 2017, non-profit OPWDD providers have been denied any COLA/Medicaid Trend to support agency operations. Federal and State laws require that all payments to providers be based upon the reasonable cost of services. Reasonable costs take into account both direct and indirect costs, including personnel, administrative, employee pension plans and normal standby costs (related to unoccupied beds). CP of NYS is strongly advocating for the statutory COLA to be included in this and future budgets. Only Strong Nonprofits can provide quality services! Governor Andrew Cuomo has announced $204 million to support 95 projects designed to protect and transform New York State’s health care system. Nearly $20 Million dollars of that will be awarded to CP of NYS and Affiliates across the state to help fund critical programs in communities large and small. Cerebral Palsy Associations of New York State has been awarded more than $13.3 million for our statewide telemedicine program, enabling the organization to purchase and install telemedicine equipment in more than 1,000 residences serving nearly 7,000 people with intellectual and developmental disabilities across NYS. A pilot program conducted by CP of NYS has proven that the program will reduce emergency room visits and associated inpatient stay. Metro Community Health Centers will receive more than $1.5 million to retire debt to better position the organization for value-based payment arrangements and enhance provider service capacity for patients with intellectual and developmental disabilities, provide capital improvements to relocate and expand the Queens health center, and for capital improvements to renovate the facility and expand dental services for patients with intellectual and developmental disabilities at the Brooklyn health center. Center for Disability Services will receive $674,309 for the purchase of equipment and to perform IT upgrades to establish a telemedicine network to enhance access to health care services for people with intellectual and developmental disabilities. Cerebral Palsy Association of the North Country ($461,186) to renovate its facility to create a patient-centered layout and purchase telehealth equipment to increase access to mental health and specialty care services. ADAPT Community Network ($850,000) to purchase a mobile health center outfitted with telehealth equipment to increase access to behavioral and specialty health care for people with intellectual, developmental and physical disabilities. The Center for Discovery ($2.07 million) for the Construction of a new diagnostic and treatment center located within a planned specialty hospital to serve people with developmental disabilities residing at the hospital as well as the general public. According to a news release from Governor Andrew Cuomo, this funding from the Statewide Health Care Facility Transformation Program will improve patient care through the development of high-quality medical facilities and programs serving the inpatient, primary care, mental health, substance use disorder and long-term care needs of communities throughout the State. “These investments in cutting-edge infrastructure will expand 21st century healthcare options in every corner of the state and improve the health and well-being of families for decades to come,” said Governor Cuomo. The funding was awarded under the Statewide Health Care Facility Transformation Program, which was enacted as part of the NYS FY 2018 Budget. The program is administered by the Department of Health and the Dormitory Authority of the State of New York and will help support the objectives of the Delivery System Reform Incentive Program (DSRIP). The purpose of DSRIP is to reduce health care costs and improve the health outcomes of New Yorkers by expanding access to inpatient, primary, preventative and other ambulatory care services as part of regionally integrated healthcare delivery systems. The Program’s primary goal is to reduce avoidable hospital visits by 25 percent by 2020. After nearly 20 years as the chief executive at Aspire of WNY in Erie County, Tom Sy will retire in July. Under his leadership the organization has grown to be one of the largest and most respected disability service providers in western New York. He has led the agency through a period of renaming and rebranding, a capital campaign, the building of a state-of-the-art health center and the design and construction of a new headquarters facility. Mr. Sy will continue in his role while a search is conducted for a new CEO. He will also participate in the search for a new leader for Aspire. Theodore Kastner, M.D. will be nominated Commissioner of the New York State Office for People With Developmental Disabilities. 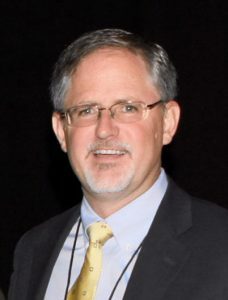 Dr. Kastner previously served as the founder and President of Developmental Disabilities Health Alliance, Inc., an integrated primary care mental health practice for persons with intellectual and developmental disabilities. He was also the Director of the Rose F. Kennedy Children’s Evaluation and Rehabilitation Center (RFK CERC) at Montefiore Medical Center and is Professor of Pediatrics and Professor of Psychiatry and Behavioral Sciences at the Albert Einstein School of Medicine where he also holds the Ruth I. Gottesman Chair in Developmental Pediatrics. Dr. Kastner earned his M.D. from the University of Connecticut School of Medicine and earned a Master of Science in population health from the University of Wisconsin. He is board-certified by the American Board of Pediatrics in Pediatrics, Developmental and Behavioral Pediatrics, and Neurodevelopmental Disabilities and by the American Association for Physician Leadership as a Certified Physician Executive. Dr. Kastner has worked in the disability field for more than 40 years starting in 1976 as a Direct Support Professional with the Massachusetts Association for the Blind and Visually Impaired. His research interests are in primary health care, mental health, managed care, and public policy issues. Dr. Kastner has been a member of numerous professional groups in the field of developmental disabilities including a member of the national board of directors of the American Association on Intellectual and Developmental Disabilities (AAIDD). The U.S. House of Representatives passed a bill last month that includes reauthorizing a Medicaid program that helps people with disabilities live independently. The bill extends the Money Follows the Person program through March, with $112 million in funding. New York’s total MFP grant awards have been about $185 million, according to the state. Since 2008, just shy of 5,000 New Yorkers have transitioned back into the community through the program. Between 2015 and 2018, the average statewide growth rate for such transitions was about 21.4%. A spokeswoman for the American Civil Liberties Union (ACLU) said that a group of organizations plans to ask Congress, to reauthorize MFP for several years. The third annual Human Resources Professionals Conference for the Disability Provider Community, sponsored by the Coalition of Provider Associations (COPA), will be held April 30-May 1 at the Embassy Suites in Saratoga Springs. See the Save The Date flyer HERE. Registration for the conference is now open; click HERE for the Registration Brochure. The conference has been structured to recognize the important role human resource professionals play in the considerable issues regarding how the disability field will manage many of the difficult challenges that exist today: changes to the minimum wage; changes to leave policies; changes to employee scheduling, and more. The disability provider community has been hit especially hard by these changes and we recognize that agencies that provide services to people with disabilities face complicating issues with recruitment and retention, an inability to provide competitive wages, and the impact the Justice Center has had on our staff. The goal of this conference is to bring together human resources and administrative professionals across the State to share best practices and engage with others in a unique opportunity for targeted learning and discussion on key issues unique to our field. Attendance and participation in this event will help agencies that serve people with disabilities to be better prepared to face the current and future human resource issues. Program details and registration information will be available shortly. We will soon have additional information about speakers and details on the sessions but for now, be sure to mark your calendar! We know you won’t want to miss this one-of-a-kind opportunity to attend a focused HR conference for the disability community and to meet with your colleagues from across the State. Please note that the deadline for reservations at the Embassy Suites Saratoga Springs is April 1, 2019, so be sure to make your reservation by clicking HERE. The Division of Quality Improvement (DQI) will be presenting a webinar for Provider Agency staff as an Introduction to the Agency Review Protocol. This training will contain key information on the upcoming DQI review activity. Agencies will be able to choose from the two sessions – February 19, 2019 – 2:00 pm to 4:00 pm; or February 21, 2019 10:00 am to 12:00 pm. The information presented for each session will be identical. Please visit the OPWDD Website, Resources for Learners page. This page includes links to resources that will assist users with account creation, login and using SLMS. Additional material and information will be posted to the SLMS site as it becomes available. The New York State Health Foundation (NYSHealth) announced an upcoming Request for Proposals (RFP) to support Federally Qualified Health Centers (FQHCs), multispecialty group practices, hospital-affiliated physician groups, independent physician practices, and other health care settings in New York State in adopting or spreading OpenNotes. OpenNotes is a national effort to give patients access to the visit notes written by their doctors, nurses, or other clinicians. Established in 2010, OpenNotes gives everyone on the medical team, including the patient, access to the same information. When patients have access to their own visit notes written by health care providers, they better remember what was discussed during the visit; feel more in control of their care; are more likely to take medications as prescribed; and can share notes with their caregivers. In an effort to spread the use of OpenNotes to FQHCs and other health care settings, NYSHealth will issue an RFP on April 2, 2019. Proposals will be due on May 2, 2019. This RFP will be open to FQHCs and other health care settings in which patients receive care in New York State. Awards of up to $100,000 will be granted per organization. To learn more about the RFP and receive a notice when it opens, please e-mail your interest or questions to OpenNotesRFP@NYSHealth.org. More information will be available on the Apply for Funding section of the NYSHealth website beginning on April 2, 2019. Joe McDougall and Anthony Salvo, from Empower in Niagara County, are partners and members of the Leadership Niagara class of 2019. This is the first time a person with an intellectual disability will be a member of the leadership class. Mr. McDougall, who has cerebral palsy, will be partnered with Mr. Salvo throughout the training conducted for professionals from the region. He said that he was fortunate to have the support of family, teachers and friends throughout his life, and sees this as an opportunity to offer the same support to someone else. Elizabeth Cardamone, Director of Communication at Empower, suggested the idea of a partnership and the two men jumped at the idea. Mr. Salvo works at Empower’s Bottle Exchange facility and was also recently certified in document shredding as part of Empower’s new document shredding service. The cost of Mr. Salvo’s tuition for the program was paid through a grant from the New York State Elks Association, a supporter of CP of NYS and its Affiliates for more than 50 years. Our own Dr. Vincent Siasoco received a shout-out from Stacey Hengsterman, President & CEO, Special Olympics New York in a special letter she sent to supporters of her organization. In the message she singled out a handful of people who are volunteering significant time and energy to support people with disabilities. Below is Ms. Hengsterman’s thank you message to Dr. Siasoco. Thank you to Dr. Vincent Siasoco who began working with us this year and has quickly become a leader for our inclusive health agenda, not only volunteering at our screenings but also recruiting colleagues to serve as clinical directors, making it a priority to serve individuals with intellectual disabilities within his practice, and immersing himself in Special Olympics at the national level. Thank you to Vincent and to all of our more than 530 professional health volunteers. Dr. Vincent Siasoco is a board-certified Family Medicine physician and the Chief Medical Officer of the Metro Community Health Centers.